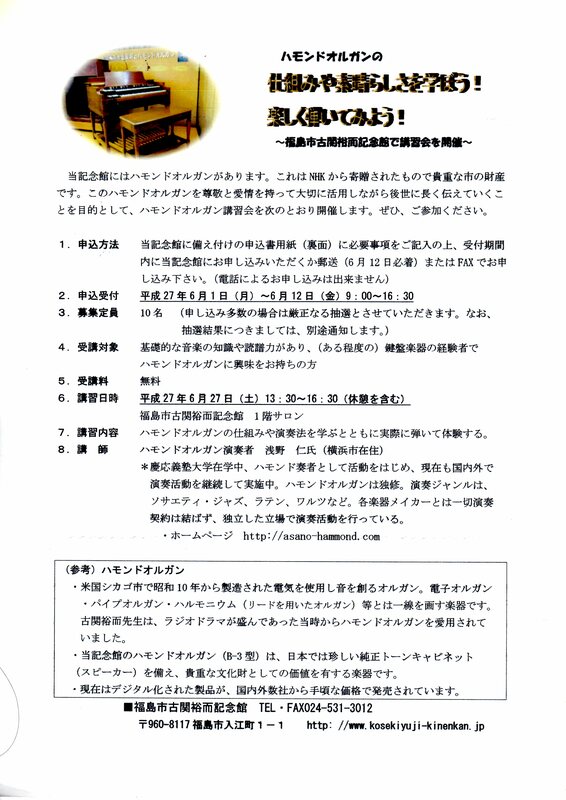 I will have my lecture of Hammond Organ at Koseki Yuji Memorial Hall at Fukushima-City on 27th. June. There is a beatiful combination of Hammond B-3 & HR-40! My concert is at same hall on next day, 28th, June.